Monks Park Surgery aims to give a friendly, approachable and professional service to all our patients at all times. If you would like to tell us that you are happy or unhappy with the service that we provide, do please let us know by telephone or in writing. Click the link opposite for more information on how to pay us a compliment or make a complaint. Monks Park Surgery has an active virtual patient participation group - if you want to find out more or to join in, click the link. 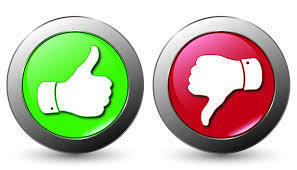 Click the link to give your opinion on the service we provide.